Ms. Chesterfield is our lighter, softer take on the classic Chesterfield sofa. We took the old-fashioned men’s club design and gave it a more modern feel. 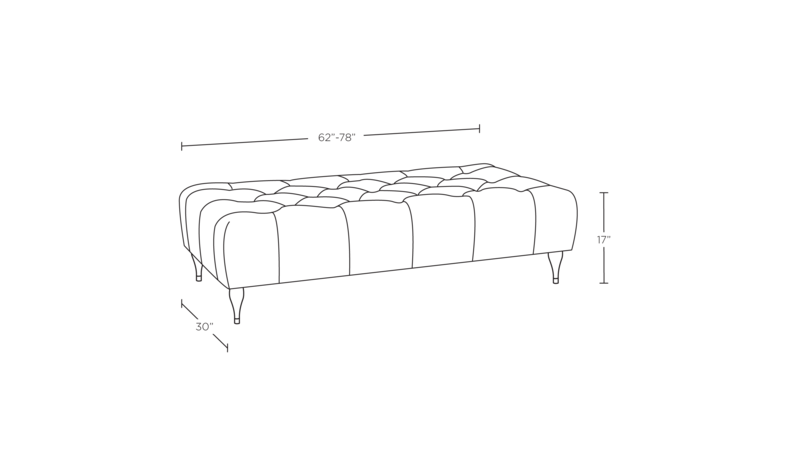 The custom ottoman maintains the Chesterfield’s signature tufting, but breaks down its traditionally heavy shape thanks to a lighter rail. Whether you use it as a footrest, coffee table, seating option, or all of the above, it's a statement piece that can be customized to suit any room.